A Makeup & Beauty Blog – Lipglossiping » Blog Archive My favourite luminosity-delivering eye shadows! 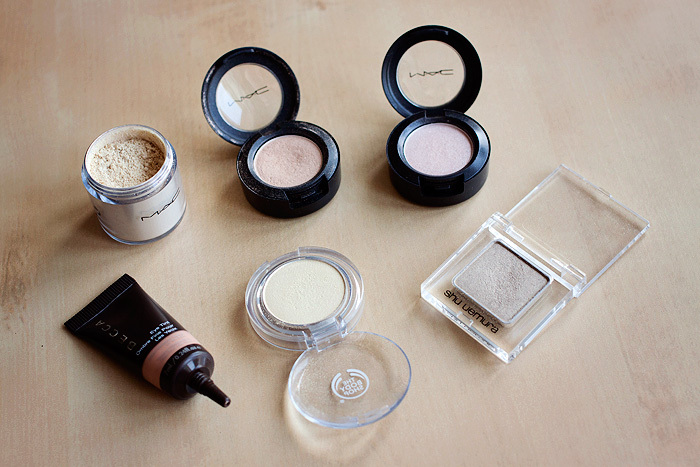 I am always on the lookout for good highlighting shades- especially because I do use them on my skin as well. Unfortunately, those of the Nars Albatross ilk appear too gold on my skin, and many contenders have too much visible shimmer to pass as a natural glow. 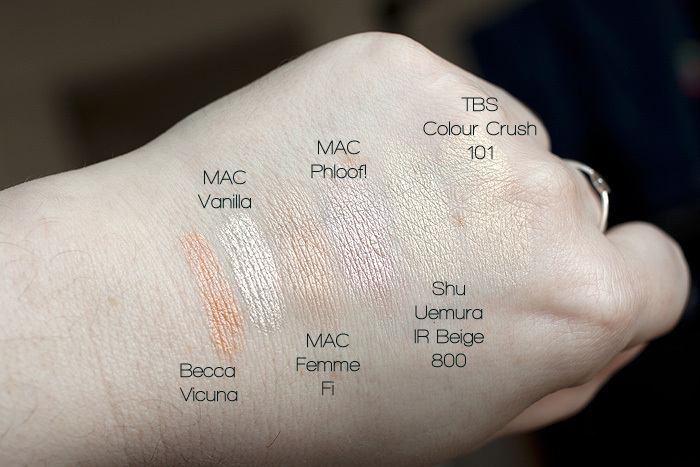 Surprisingly, I do not have MAC Vanilla (though I have to imagine I have peeked at it in store once or twice). Suggestions? How about MAC’s Shroom or Naked Lunch? I keep meaning to add NL to my collection… my resolve is nothing if not strong! Love this post! So many pretty eyeshadows in one place 😛 Your swatches make me wonder why I never got Vanilla. Guess I’ll have to now. Haha! Becca’s vicuna is so pretty. I prefer this personally for its cream and I super love the shade as well. Meow Cosmetics makes this ammmaaaaaazing white-gold-champagne shadow called Sand Dune. It’s luscious and blendable and lasts forever on my lids – everything you want in a shadow.